As a federal and public holiday in the U.S. Thanksgiving Day is considered as one of the major holidays of the year. 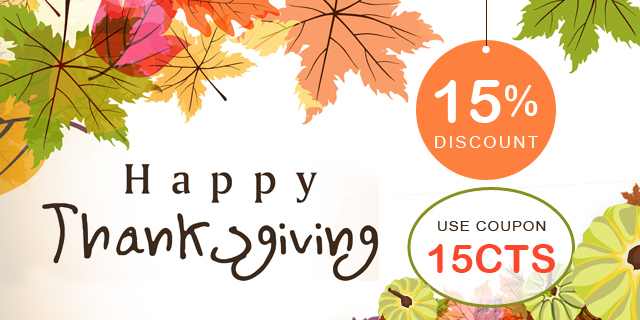 CanadaVetExpress on this festive occasion has decided to glorify this day by offering 15% site wide discount. This particular sale has been aimed to make the pet owners in USA to join in our celebration of the commencement of the holiday season. As an expression of gratitude, CanadaVetExpress would like to offer a token of gratitude towards pet owners in the USA who have devoted their lives to their little furry friends. We understand that having a pet is one of the most amazing experiences that you can ever get. 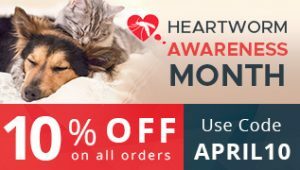 And on this auspicious occasion, you can utilize coupon code: 15CTS when you buy a product from CanadaVetExpress to get special discount on all pet care products in the store. You can also try out different pet care supplies from our online store which you would have normally evaded due to the expensive rates on other sites. With the additional incentive of 15% off now you can buy those products and rest assured that if you do not like the products there is a money back guarantee that we offer so it is a win-win situation for you. We understand that Thanksgiving Day means a lot to you and your pet and so we only have in our inventory a comprehensive range of genuine pet care products ranging from canines, felines to birds. On top of this, we also have products that will keep your pet healthy like vitamins and health supplements that are normally very expensive on other online pet supply stores. We have also observed that during this time of the year that people are usually busy entertaining guests, having parties and looking after their furry friends. So you would not want to waste your precious time or money while paying the delivery charges for your favorite branded pet products. So what are you waiting for? Shop now and reap the benefits of getting great pet products at huge discounted rates that you would have normally missed during the year.